YouTube has announced that its popularity as a video-hosting website has never been higher, with 1 billion videos a day streamed. This is nearly three quarters more than what is regularly noted by the data bean-counters at Nielson and ComScore. TechCrunch is reporting that on average, Google's streaming rankings by external sources are around 7 billion a month, but the search giant has confirmed that the figure is more like 1 billion streams a day. 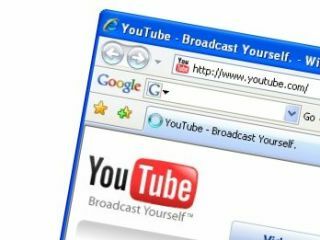 This massive rise in video streaming means that YouTube is the undisputed king of internet video, with 72 per cent of web streaming originating from YouTube. Hulu is in third place, but even with its big-name backing, the website generates a mere 4 per cent. It's Fox who is in second place, with just a 5 per cent market share. Although these statistics are based on data that's in the public domain, unlike Google's streaming info. We all knew YouTube was big. But a billion views a day big – that's definitely food for thought, proving that the online video market is in pretty good shape.